John Nardolillo has appeared with more than thirty of the country’s leading orchestras, including the Seattle, San Francisco, Detroit, Atlanta, Dallas, National, Utah, Columbus, Oregon, Fort Worth, Alabama, North Carolina, Toledo, Vermont and Honolulu Symphony orchestras, as well as the Buffalo Philharmonic and the Louisville Orchestra. Recent debuts include the Boston Pops at Symphony Hall in Boston and on tour, the Indianapolis Symphony and the Milwaukee Symphony. Nardolillo has also conducted concerts at the Kennedy Center in Washington DC, the Kimmel Center in Philadelphia, Carnegie Hall in New York, the National Center for the Performing Arts in Beijing and the Oriental Arts Center in Shanghai. John Nardolillo’s recent and upcoming performances include collaborations with Lang Lang, Itzhak Perlman, Gil Shaham, Sarah Chang, Lynn Harrell, Denyce Graves, Christine Brewer, Angela Brown and Cynthia Lawrence, as well as Marvin Hamlisch, Pink Martini, Time for Three, Ronan Tynan, Jim Brickman, Cherish the Ladies, Wynona Judd, Mark O’Connor and Keith Lockhart. In 1994 Nardolillo made his professional conducting debut at the Sully Festival in France, and has since made conducting appearances in the United States, France, Germany, Italy, Norway, Sweden, Denmark and China. He has led major American orchestras in subscription series concerts, summer and pops concerts, education concerts and tours, and for television and radio broadcasts. He has recorded for Naxos and Albany, and has been featured in articles and reviews in the New York Times, the Washington Post, the Boston Globe, Opera News, the American Record Guide, Billboard, Fanfare Magazine, and Vanity Fair. John Nardolillo’s work has been heard on television and radio around the world on NBC, ESPN, NPR, PBS, the BBC, the CBC, CCTV (China), ARD (Germany), SVG (Sweden) and RAI (Italy). In the fall of 2010 Nardolillo served as the Music Director and conductor for the Opening Ceremonies of the 2010 World Equestrian Games, a performance that featured more than 1500 performers and 200 horses and was seen live on NBC in the United States by 39 million people, and by an estimated 500 million more television viewers worldwide. In the spring of 2013 he led a broadcast concert in Beijing for China Central Television, a network which reaches more than 1 billion viewers. Nardolillo’s opera performances include the premiere performance and first recording of Thomas Pasatieri’s God Bless Us Everyone, in New York, the first recording of Pasatieri’s Hotel Casablanca, the premiere of Joseph Baber’s River of Time and productions of Porgy and Bess, Madama Butterfly, La Bohème, Die Fledermaus, La Traviata, Hänsel und Gretel, Le nozze di Figaro, Die Zauberflöte, Carmen, Lucia di Lammermoor, Gianni Schicchi, Suor Angelica, Romeo et Juliette, Falstaff, and Phantom of the Opera. During the upcoming season, he will conduct productions of Don Giovanni and Les Misérables. Since 1999, John Nardolillo has served as music director and conductor for folksinger Arlo Guthrie’s appearances with symphony orchestras. Nardolillo and Guthrie have performed together with orchestras around the country, and the program has been featured by the Boston Pops on the television programs Evening at Pops for PBS, and Boston’s Fourth of July on CBS, a 2001 concert heard by a live audience of more than 500,000 on the Charles River Esplanade. The Boston Pops has performed the program in concert at Symphony Hall in Boston, at Tanglewood, and at Bethel Woods, on the site of the original Woodstock concert. The Boston Pops also recorded music from the project on the 2005 recording “America,” and in 2006 Rising Son Records released a recording with the University of Kentucky Symphony Orchestra, titled In Times Like These. Since 2004, John Nardolillo has held the position of Director of Orchestras at the University of Kentucky School of Music. 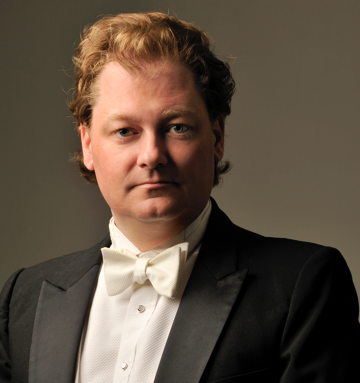 He has led orchestras and given conducting masterclasses at leading universities and conservatories, including the Eastman School of Music, Yale University, the St. Petersburg Conservatory in Russia, and the Central Conservatory in Beijing, China. Born in Bend, Oregon in 1971, John Nardolillo earned degrees in violin and conducting from the Cleveland Institute of Music and the Peabody Conservatory, where he graduated from the conducting class of Fredrik Prausnitz.